The Hybrid 3 is for anyone seeking an integrated solution for all aspects of outdoor safety. This 3-in-1 kit provides medical supplies for dressing wounds, stabilizing fractures, and treating illnesses; survival tools to signal rescuers, start fires, and stay warm; and gear repair items to jury rig just about anything back together. 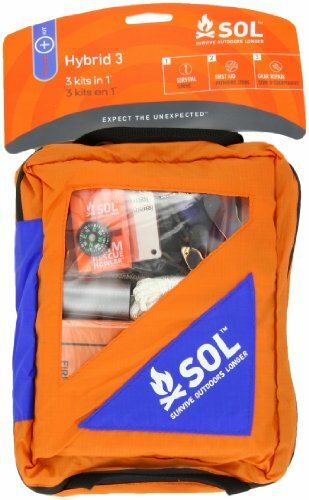 An ultralight nylon organizer bag with a detachable pouch for short trips away from camp makes it easy to find exactly what you need in any type of emergency.